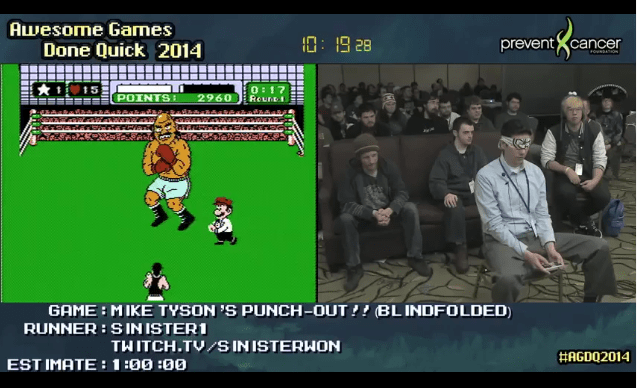 Can someone make it to Mike Tyson on Punch-Out blindfolded? In fact they can – and they make it look easy. Streamer SinisterWon slammed the NES classic while discussing some of the game’s internals which make it possible (full Twitch stream). He shreds everyone up to Tyson before being taken down, as Tyson is notably impossible without visual triggers. Punch-Out is defined by its timing and counters, although this is no less of a staggering accomplishment. More so was a run by another player who doused the SNES sequel, Super Punch-Out, blitzing the entire game in one run sans visual cues. Punch-Out is notably memorable, but its sequel is faster overall. Aggression levels are higher, arguably making the 16-bit run doubly impressive. Both runs were done for the charity event Awesome Games Done Quick, based on speed runs. All funds are sent for cancer research charities. The NES platforming classic is in the capable hands of sprite masters WayForward.